LMA Manager 2006 is a thorough evolution for the genre-leading series. Utilising a new game and database engine, a Transfer Market system with greater depth enabling more complex contract negotiations, and a detailed 3D match section, it/'/s set to be the most powerful edition in the series. The capabilities of the Xbox 360 allow for more infor..
LMA Manager 2007 will deliver the series’ totally compelling world of football to the new formats in massively expanded editions, with teams from over 50 countries to manage or pick transfers from. The game will retain LMA Manager’s brilliantly intuitive and user-friendly interface, where every piece of information is no more than a couple of butto.. The game/'/s based in 1952 around an alternate reality where Europe failed to stand up to the Nazi invasion, leaving the Germans free to mount a huge assault on American soil. The wartime technology we/'/re used to has evolved, and you/'/ll face the imposing rule of this foreign power not as a soldier, but as a civilian, joining the resistance to f..
Race Driver One will be a true evolution for the series, which first appeared as the TOCA (DTM/V8) Touring Car games (1997–2000) and became the TOCA (DTM/V8) Race Driver series (2002-2006). Taking the series from ultimate racing simulation to ultimate racing stimulation, Race Driver One™ will be the next technical showcase for Neon, the studio/'/s ..
As the King of Iolcus, Jason had everything – a prosperous kingdom, the respect of his peers and a beautiful fiancé. But when she was assassinated on their wedding day, Jason vowed to take revenge on her killers – to do anything to restore her life and earn back the respect of his subjects. To accomplish this heroic feat, Jason must seek out the Go.. This winter is going to be an exciting one, and in the heat of the action, there’s certainly no time to catch a cold! Damnation has all the good stuff coming to you this winter: featuring huge, open environments, frenetic combat, daredevil acrobatics and high-octane vehicle-based stunts in a unique combination of fluid action and combat, the 3rd pe..
Get ready for your close-up. “You’re in the Movies” combines cool with kitsch as you live out your dreams of becoming a scream queen, zombie or kung fu master. Premiering exclusively on Xbox 360 this holiday season, “You’re in the Movies” is the first and only game of its kind. It transports players into a magical world of cinema and hilarious impr..
F1 2010 from Codemasters will feature all the drivers, teams, cars and tracks from the 2010 Formula One season, re-created with the help of "unprecedented access to Formula One teams and drivers." 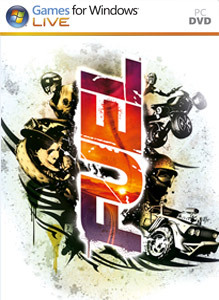 The Ego engine has been further developed for F1 2010, according to the publisher, "to accurately re-create the unique aerodynamics and ha..
BODYCOUNT reboots the First Person Shooter with a single-minded focus on delivering best-in-class gunplay. Ensnared in a clandestine global power struggle that rages under the cover of conventional war zones in Africa and Asia, players must eliminate a relentlessly evil enemy known only as ‘The Target’ on behalf of the ‘Network’. After being droppe.. 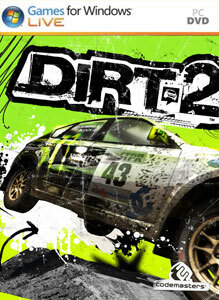 DiRT 3 boasts more cars, more locations, more routes and more events than any other game in the series, including over 50 rally cars representing the very best from five decades of the sport. 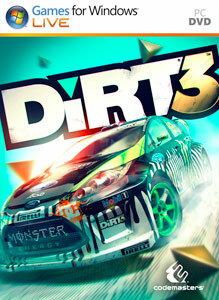 With more than double the track content of 2009/'/s hit, DiRT 3 will see players start at the top as a professional driver, with a top-flight career in compet..
Red River depicts a fictional conflict with contemporary geopolitical themes, which will unfold over three distinct acts. 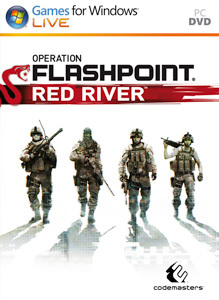 Operation Flashpoint: Red River, an all-new chapter in the tactical shooter series is now in development and will debut in 2011. 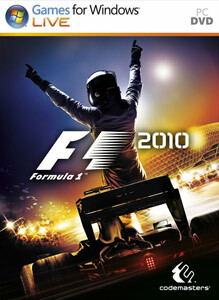 Taking a small step into the future, Red River depicts a fictional conflic..
F1 2011 is the sequel to codemasters F1 2010. F1 2011 features exciting wheel to wheel racing, enhanced by KERS and DRS, as well as highlighting improved garage, paddock, pit lane and Parc Fermé cinematics that further immerse the player into the life of a FORMULA ONE driver. 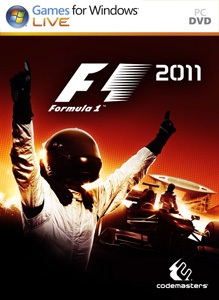 F1 2011 will be released September 23rd 2010 for Xbox 360, PlaySta..
F1 RACE STARS delivers formula fun on every straight, hairpin, jump and loop-the-loop with super-fast racing and a range of power-ups for you to collect and deploy as you sprint for the chequered flag ahead of your rivals. You will be taken on a world tour of iconic FORMULA ONE locations, including Monaco, Silverstone and the new Circuit of America..
Codemasters GRID returns to the streets May 2013. GRID 2 will challenge players to be fast, be first and be famous. Going behind the wheel of a handpicked selection of automotive icons spanning four decades, gamers will race their way to the top of a new, evolving world of motorsport. From Paris to Abu Dhabi, Chicago to the sun-kissed Californ..
Codemasters F1 2013 is available in two edition: F1 2013 and F1 2013: CLASSIC EDITION on Xbox 360, PlayStation 3 and Windows PC. F1 2013: CLASSIC EDITION is a limited edition, premium package which includes F1 2013, featuring all new classic content from the 1980s, and is expanded with further content from the 1990s and additional ..
F1 2010 Games for Windows Version. Experience the exclusive world of Formula 1 like never before. Get behind the wheel of the worlds greatest cars as you race wheel to wheel on all 19 circuits from the 2010 Formula 1 calendar, beautifully realised and in full HD. Prove yourself worthy of being the team/'/s number 1 and gain the ability to .. Following on from the BAFTA-winning GRID and BAFTA-nominated GRID 2, GRID Autosport is the new racing game from Code masters that brings alive the experience of becoming a professional racing driver. Immersing gamers in a world of contemporary motorsport with a wide range of different disciplines and series, players will choose how to build and sha.. The 2014 FORMULA ONE season has seen the most seismic rule changes in the sport/'/s 60 year history, including new turbocharged power units and new aerodynamics, which combine to place more emphasis on racing skill and control in cars with more explosive power delivery but less downforce than previous seasons. All but two teams have changed their d..